"Adapter, Borgesson Lenkgetriebe an Mopar Lenksäule"
Mopar steering universal joint / vibration reducer in steel. Couples stock Mopar steering columns to Borgeson Mopar power conversion box. Stock column must be cut and shortened for installation. Includes drill bit and roll pins for installation. Borgeson Universal has you covered, whether you're replacing a worn shaft coupler or doing a custom steering setup on your street or race car. These Borgeson steering shaft couplers can be used to extend the steering box, the RP shaft, or the column shaft. 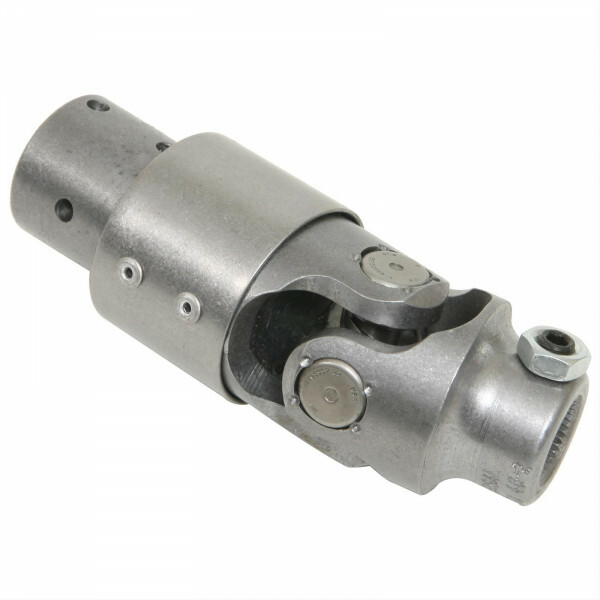 Borgeson steering shaft couplers can be welded and/or pinned to the unsplined end of the shaft and are available in many popular applications to complete your buildup. They come in your choice of steel or stainless steel.